Play helps define who we are as human beings. However, many of the leisurely/ludic activities people participate in are created and governed by corporate entities with social, political, and business agendas. As such, it is critical that scholars understand and explicate the ideological underpinnings of played-through experiences and how they affect the player/performers who engage in them. This book explores how people play and why their play matters, with a particular interest in how ludic experiences are often constructed and controlled by the interests of institutions, including corporations, non-profit organizations, government agencies, religious organizations, and non-governmental organizations (NGOs). Each chapter explores diverse sites of play. From theme parks to comic conventions to massively-multiplayer online games, they probe what roles the designers of these experiences construct for players, and how such play might affect participants' identities and ideologies. 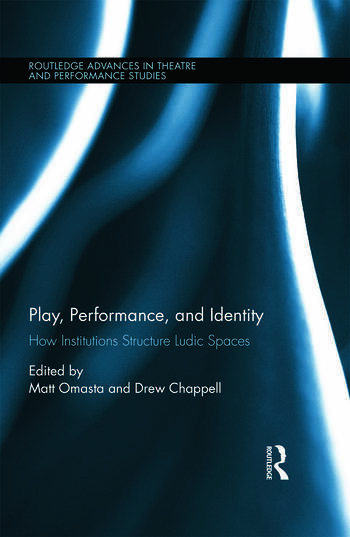 Scholars of performance studies, leisure studies, media studies and sociology will find this book an essential reference when studying facets of play. Matt Omasta is the Director of Theatre Education & Applied Theatre programs at Utah State University. His recent publications appear in Research in Drama Education: The Journal of Applied Theatre & Performance; Youth Theatre Journal; The International Journal of Education and the Arts and Theatre for Young Audiences Today. Drew Chappell is an interdisciplinary researcher whose articles appear in Qualitative Inquiry, Children’s Literature in Education, and Youth Theatre Journal. His edited volume Children Under Construction: Critical Essays on Play as Curriculum was published by Peter Lang. Drew teaches theatre at Chapman University and California State University Fullerton.